Click here to check the available dates on the calendar at the bottom of the page. Then complete the booking form to grant your place on board! 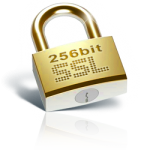 This website uses SSL technology to safely encrypt data thru internet. Comments or questions are welcome. A confirmation letter will be sent to your email account as soon as possible to confirm your booking. We no longer accept AMEX cards only MASTER or VISA cards.